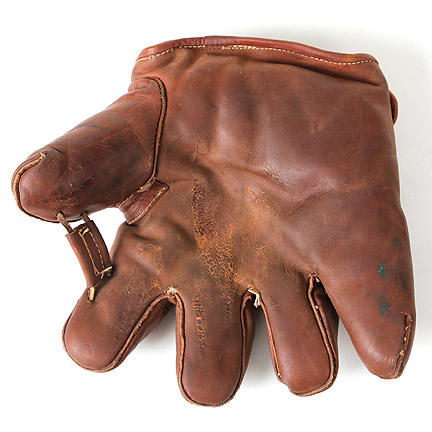 This vintage style baseball glove was worn by the character “Roy Hobbs” portrayed by actor Robert Redford in the 1984 motion picture “The Natural”. 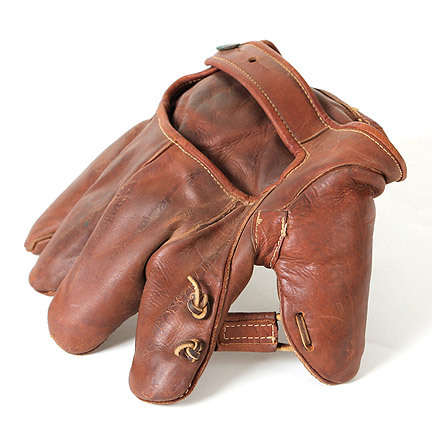 The leather left-handed glove was custom made specifically for Redford, who was a left handed player. 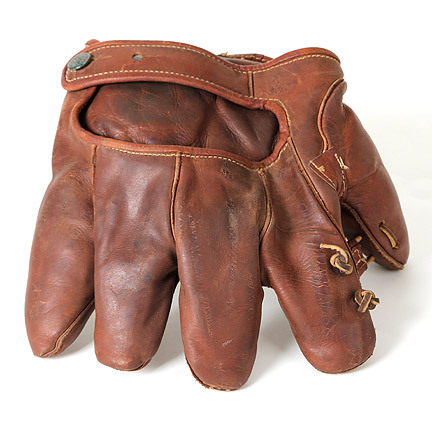 The glove has a stitched pocket (lacing replaced), adjustable wrist strap with brass button closure, no lacing through the fingers, and extra internal padding was added to the heel by the property master for safety. 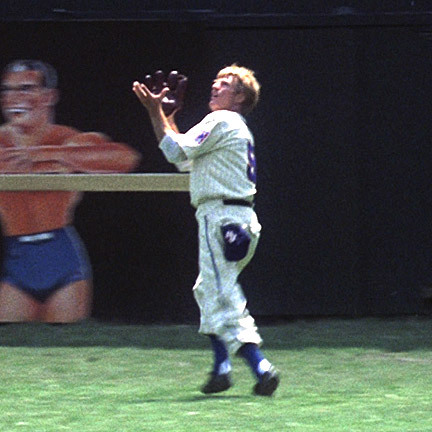 Mr. Redford used left handed gloves without finger lacing while playing in the outfield, he also used this glove in the final scene while throwing a ball with his son. 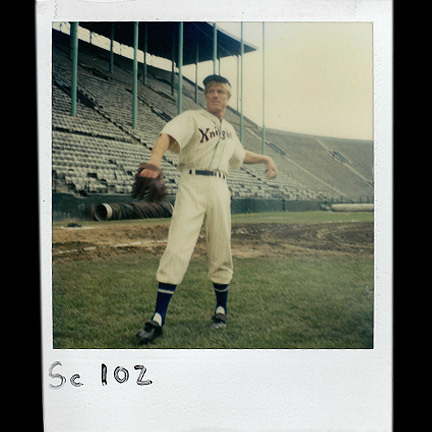 Copies of the continuity Polaroid’s are included. 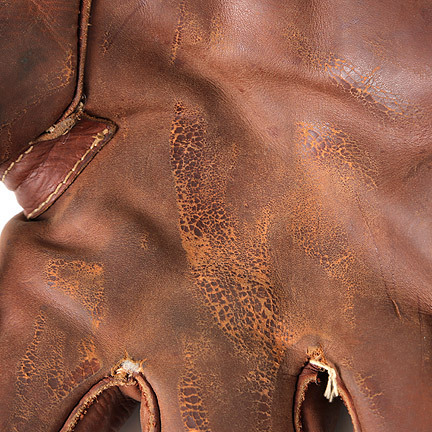 The baseball was custom made for the production and used by principle characters while filming and batting practice. 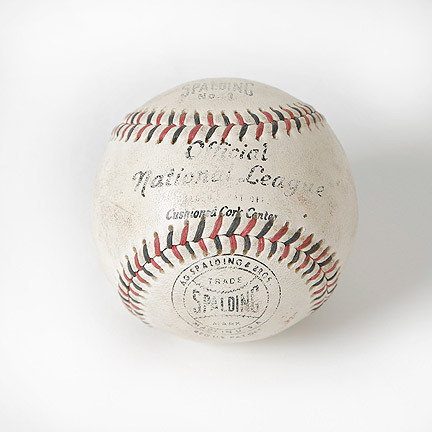 The ball is an exact replica of the Spalding Baseball manufactured during 1932 -1933. 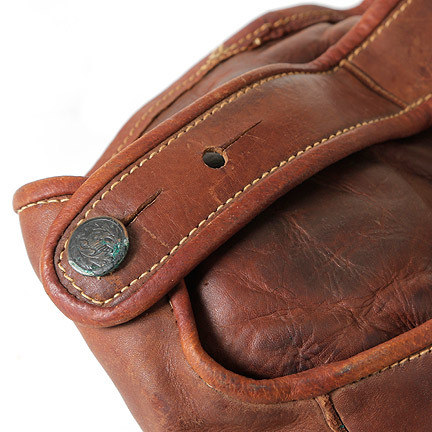 The balls is nine inches in diameter, weighs five ounces with a cushion cork center, off white leather exterior with red and blue stitching. 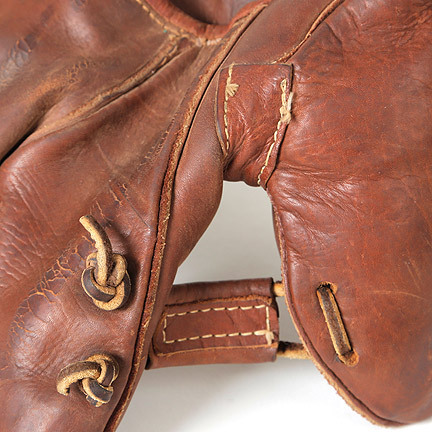 The period correct markings and logos are stamped in blue ink on the exterior; "Official National League Reg U.S Pat Off", cushioned cork center, IN. 5 oz, and Spalding No 1. 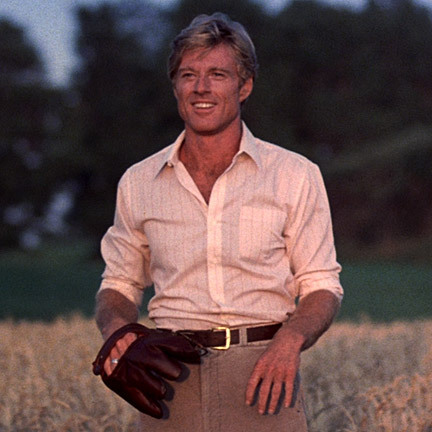 “The Natural” starring Robert Redford, Robert Duvall, Glenn Close, Kim Basinger, Wilford Brimley, and Robert Prosky, was nominated for four Academy Awards. 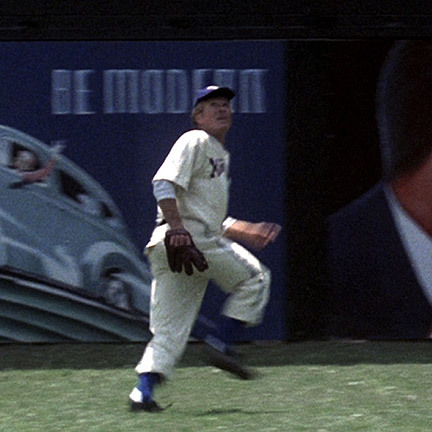 It stands as one of the most beloved sports movies of all time. 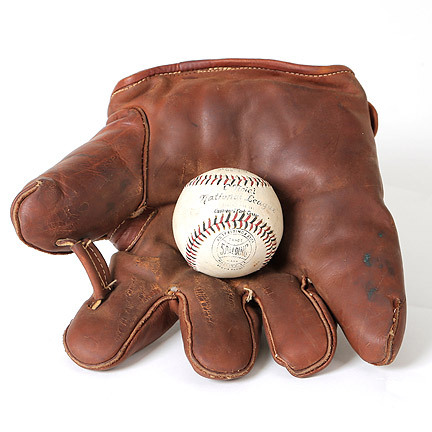 These items are in good screen used condition, and are accompanied by a letter of authenticity from the prop house.